HOUSTON (KTRK) -- Stephanie Tallent and Jason Nece always had planned to marry before they welcomed their daughter into the world. But the Houston couple just wasn't counting on August 21 to be the day they'd accomplish both. 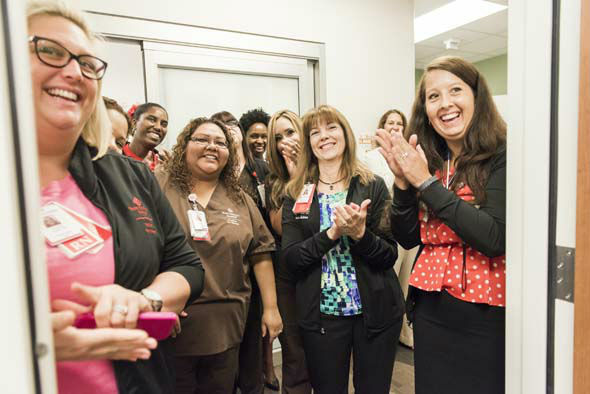 Nece and a 36-weeks-pregnant Tallent were at their regularly scheduled ultrasound appointment at Texas Children's Pavilion for Women on Friday when they learned Tallent was in active labor. The couple stayed true to their plan and decided to marry right there and then. 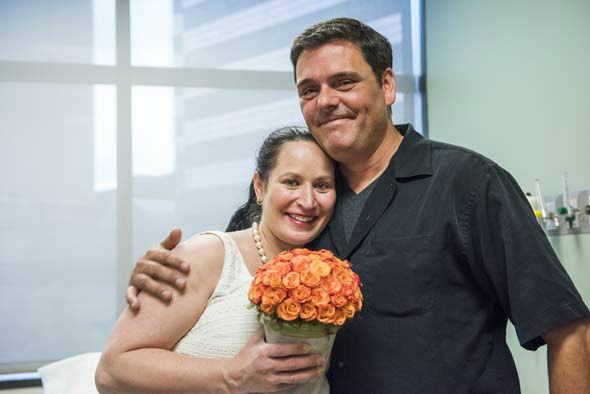 Nece raced to the car to grab their marriage license, which they'd picked up the day before, and a white sun dress that was headed to the dry cleaners. 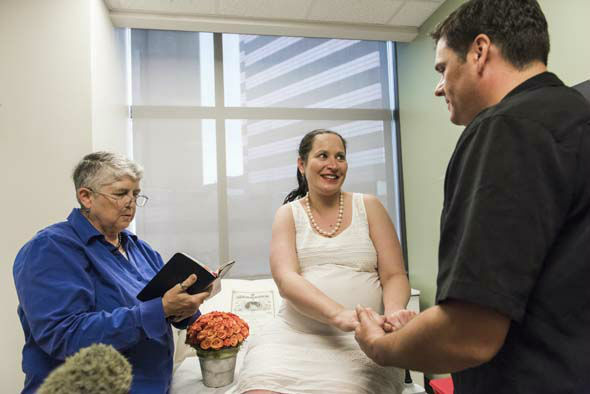 The couple's OB/GYN, Dr. Karla Wagner, phoned the hospital's chaplain, and just 30 minutes later, hospital staff had arranged a ceremony, complete with flowers and an acapella serenade. 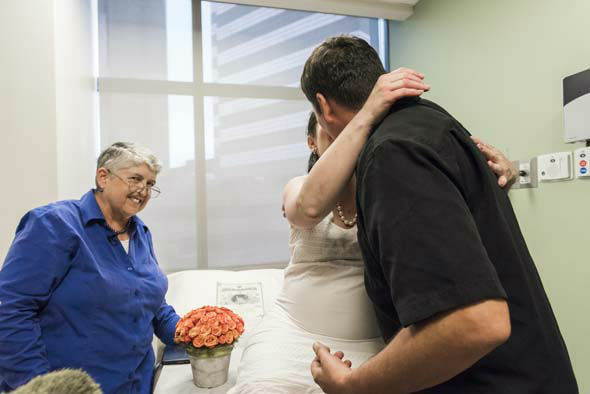 As a nurse played the "Wedding March" on her cell phone, Dr. Wagner walked Tallent down the aisle of the clinic to the assessment room, where the couple exchanged vows. 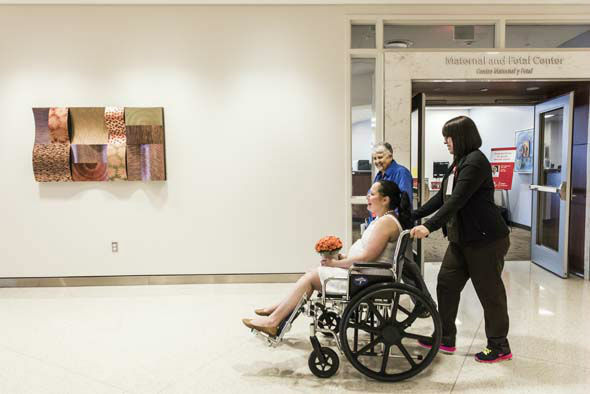 After the ceremony, nurses rushed Tallent to the delivery unit for an emergency C-section. A few hours later, Tallent gave birth to a healthy Sophia Avis Marie Nece. The couple said it was the best day of their lives. The Texas Children's Pavilion for Women says the Tallent-Nece wedding marks the first union celebrated at its facility.